If venturing into flying and regeneration magic wasn’t enough, Tatsuya is now learning alchemy! I have to admit, I’m not following all of the technical stuff regarding magic. What I inferred from the situation, is that Tatsuya basically wants to embed magical sequences into these objects so that anyone can use powerful spells. Leave it to the almighty Tatsuya to give power to the weak! I found it rather amusing that, once again, Tatsuya was recruited for another school related affair. 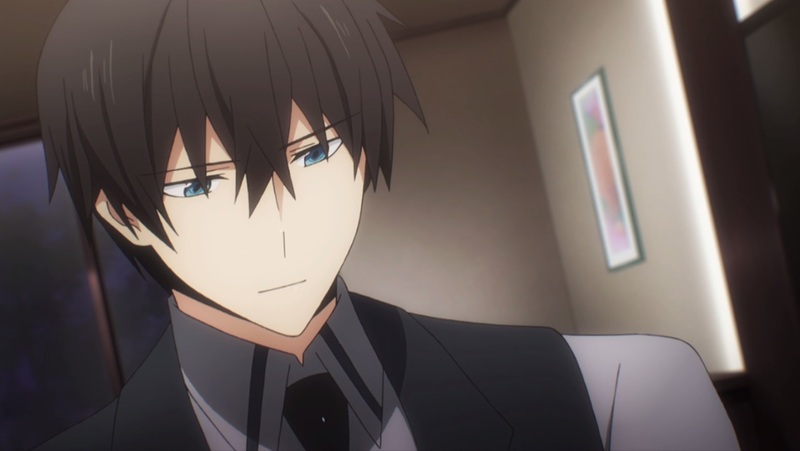 Everytime they request Tatsuya’s assistance, he has to question “why me?” (as if he didn’t know already!). This time he’s helping them in a thesis competition. I can’t say that I’m excited to see this since a writing competition seems a bit on the dull side. On the bright side we get to see more of the Yotsuba family. Sayuri’s their distant stepmother who Miyuki dislikes. Since their father remarried so quickly, it left a bitter taste for the Shiba siblings. From this I’m guessing that their mother meant the world to them, and now they’re a bit resentful for how quickly she was cast aside. Even though Sayuri’s technically their parent, she has little to no influence over them. 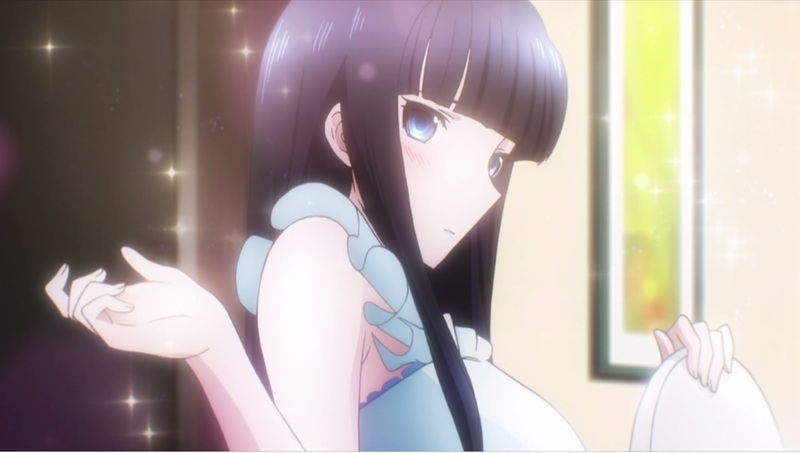 Sayuri even appears to be a bit flustered when confronting Tatsuya (but honestly, who wouldn’t). 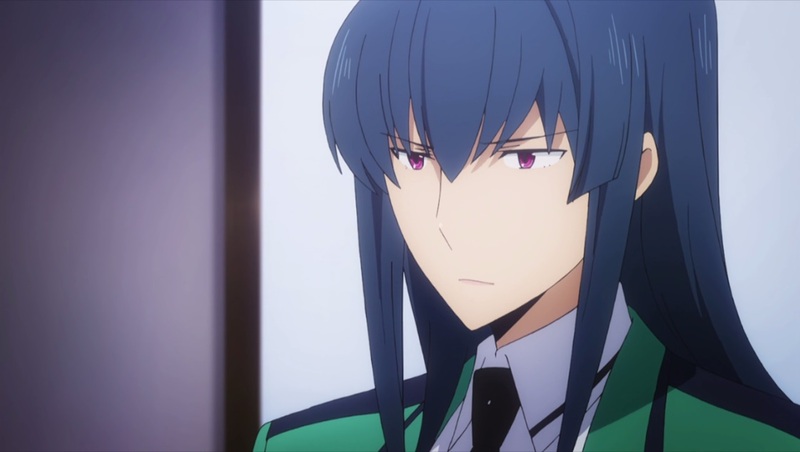 She’s agitated that Tatsuya continues to play house with Miyuki instead of helping their family business. With his unmatchable skills and expertise, the company could be reaching new heights. Tatsuya doesn’t really have an ambitions though. He knows that he’s just being used by the Yotsuba family and the military as a weapon. His only true passion is Miyuki and everything else comes second to her. Sayuri gets fed up when Tatsuya refuses to do things her way and storms off. Tatsuya, being such an amazing magician, senses that there is danger nearby for his stepmother. Carrying such a valuable object would obviously put a target on your back. Once again, these men were no match for Tatsuya. Even though they mortally wound him, his auto regeneration sequence springs into action, allowing him to save the day. 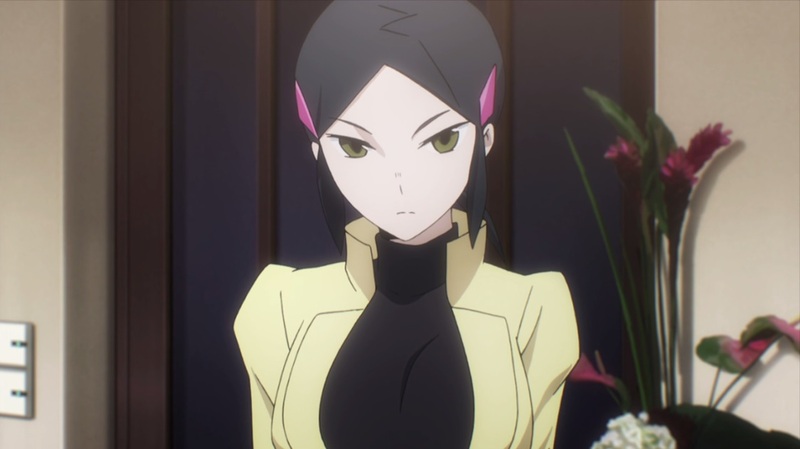 We’re 19 episodes into Mahouka and I find that they’re still lacking a clear antagonist. The series revolves around political groups causing the conflicts, but these tend to just be a bunch of faceless people. 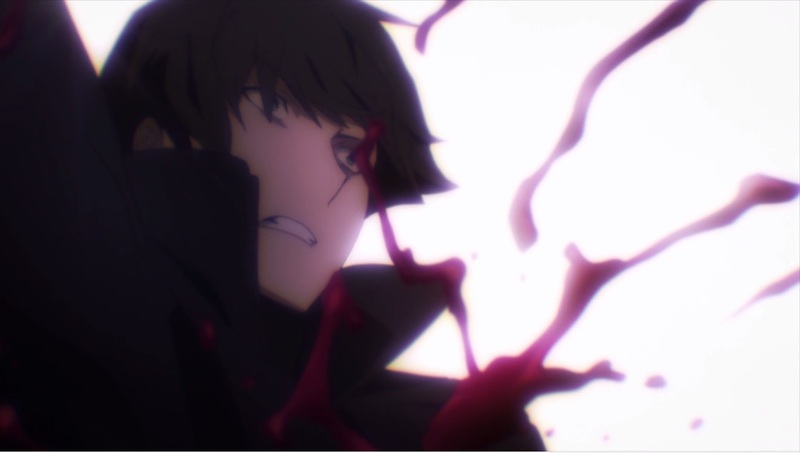 We have yet to see anyone rival Tatsuya’s strength which makes it feel almost like a slice of life show to me. At this point, it doesn’t feel like we’ll actually get into the bigger conflicts and the first 20 episodes were just an introduction to the entire series (a series to introduce us to the series). Either way, I’ve committed this much time to it, I might as well keep watching to see what Tatsuya does next! The lack of any antagonist characters is a bit troubling. Masaki was set up as an antagonist, but really he was more of a friendly rival. 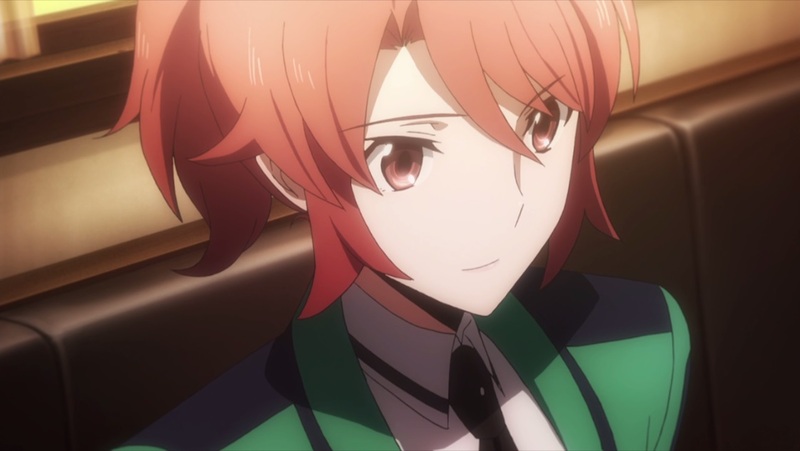 In the future there will be a character that matches up to Tatsuya in terms of power… but that character also doesn’t fit the bill as antagonist. This show is more like “The Triumphs of the Almighty Tatsuya!” It’s fun to watch at times though. When will those silly people learn that you can’t oppose the almighty Tatsuya! Sword Art Online II Episode 6 – PTSD!